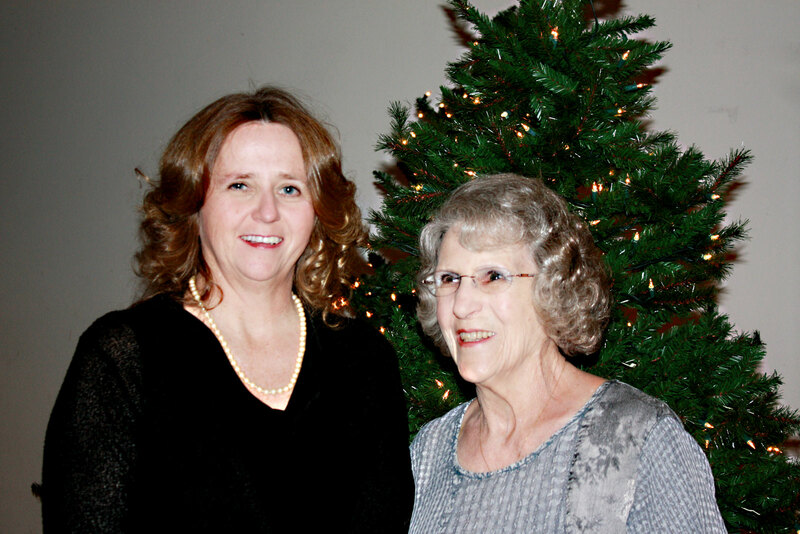 left to right: Janice Atkins-Neva with her mother Mary Lou Atkins, recipient of the 2016-2017 Albert C. Conger Distinguished Service Award from the Eastern Wyoming College Foundation. The Foundation of Eastern Wyoming College is pleased to announce the selection of Mary Lou Atkins as the 2016-2017 recipient of the Albert C. Conger Distinguished Service Award posthumously. The award is given to individuals who demonstrate excellence in leadership, provide major financial support, or who enhance the college through civic activities. Mary Lou met 100% of the criteria and left an indelible footprint on EWC. Throughout her many years of involvement with EWC, she rarely missed an event: plays, athletics, speakers, student programs. She poured her heart into the college and each semester she placed a basket of homemade treats in the residence halls, giving students a taste of home while they were away from their families. Sharing a part of her life with others led Mary Lou to become a generous philanthropist who firmly believed in engaging students. Mary Lou’s lifetime support and matched giving dollars through the State of Wyoming’s challenge program; totaled over $300,000 towards bettering the College. Anyone who visits EWC can witness the impact of her philanthropy, Mary Lou’s gift helped transform the College’s landscaping from an open green space to one filled with vibrancy of fountains, babbling brooks, flagstone and, beautification. Ultimately, she wanted the outside of the College to reflect the quality of students, faculty, and staff at EWC. Touches of Mary Lou reside all around the campus and the Commons within Lancer Hall is named in her honor. Mary Lou believed in the mission and vision of the College, and joined the Foundation Board of Directors in 2001. Through her nine years of service on the Foundation, she gave small-targeted gifts to assist students with books and larger leadership gifts to help spur other donors. She was a strong advocate for philanthropy and investing in the lives of students. Through it all, her heart, and belief in the College lives on, especially thanks to her daughter, Janice Atkins-Neva who continues the family tradition of service as a Board of Director for the EWC Foundation.